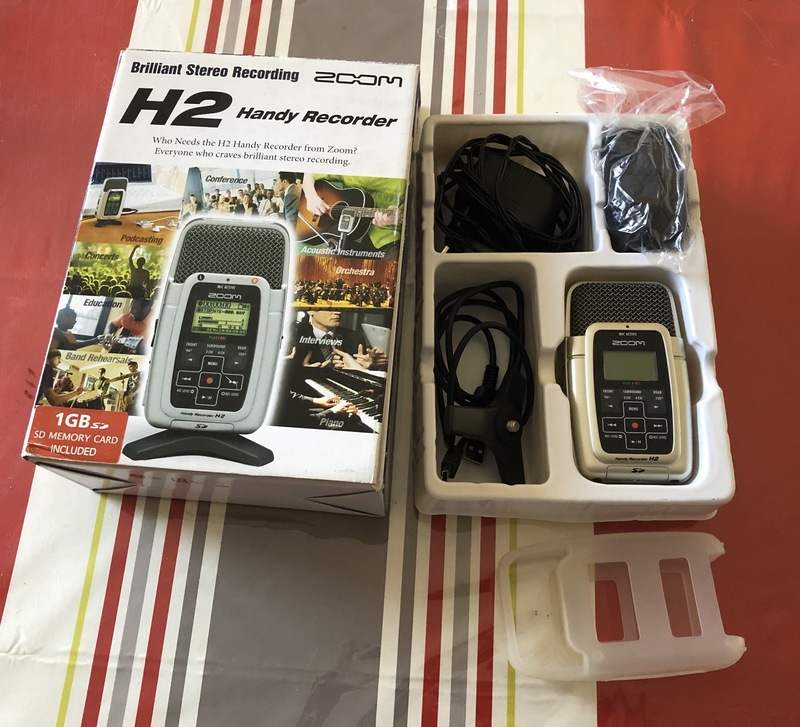 H2, Pocket Recorder/Multitrack from Zoom in the H2 series. Product replaced by the Zoom H2n. chrislieck's review"These are great units for live recording "
These units are great for live recording. They have a good solid sound. I like the clarity of this unit for live band recording. They have a really clean sound and they can take a great deal of input volume. We just used some recording a live band www.chrislieckstudios.com. I like the sound for the money. I like the layout. I don't like the small middle knob. Some of the design layouts are a bit weird. The output usb has to have the right operating system to use it on and so that is annoying as is the output headphone jack. I think that they should consider more options for a hand held recorder but as far as sound it is solid. I would rather this be a metal casing than plastic that feels like metal at least that what I call it. I think an that if your using it for live recordings then you want to have a great deal of flexibility when recording for a band or if you use if for video more options as well. Some external recorders for field recording have multiple inputs and allow 4 inputs for lavalier mics and additional mics. I also want easier exportation of audio files. My real problem with these small compact recording devices is the screen size is horrible. You need bifocals to read the screen on most of the Zooms. It becomes annoying when moving from one recording to another and especially if you have several tracks of recorded. But back to the sound, it is good and sounds solid overall. I used it three times and aside from the screen and other issues I must say I was pleasantly surprised at the sound of the unit. It is a great sounding piece for the money. I don't like that it does work importing from what I find on 10.4.1 on Mac and if you have an older computer you may have to update your operating system so that is an issue if you want to do a direct transfer but you have an older operating system you have to go through hoops to make it happen. I would rather that by a plug and play on any operating system or just a basic output feature to send the .wav file to your desktop. I bought this pocket recorder based on a recommendation of a friend. I was looking for something easy to use to record our band's rehearsals for playback. This device could not be easier to use, and makes simple recordings which rival or are better than those I have been able to make in the past with a fully featured four channel recording desk. The multitude of settings make it possible to adjust for a variety of settings and requirements. The manual is fairly easy to read and understand. Using this recorder during rehearsals has greatly improved the speed with which our band is able to learn new material. With a minimum of hassle we are easily able to download the recording, cut it into songs, and post it for all members to hear. This is usually done before the next morning. Being able to listen to what we are playing after rehearsal allows us to disect the various aspects of the songs and work on the details, and also allows us to record versions for new members very easily. The only thing I don't like about it is that the placement of the recorder in the room is your only real ability to 'mix' instrument levels relative to one another. You get the hang of this fairly easily, but it is not as easy as moving a slider up and down. I think the recorder is great value for the money. I have tried to do similar things with mixing consoles and multi-track recordings before, and the problem with that method is that it could take a very long time to get even a single rehearsal recording up. To get full benefit from this activity, the recording has to be available to all bandmates very quickly. This device provides that facility while also providing great, almost professional, sound quality. It also works well within a lot of different environments, and has a wide lattitude with regards to sound levels and mixes it is able to accomodate. 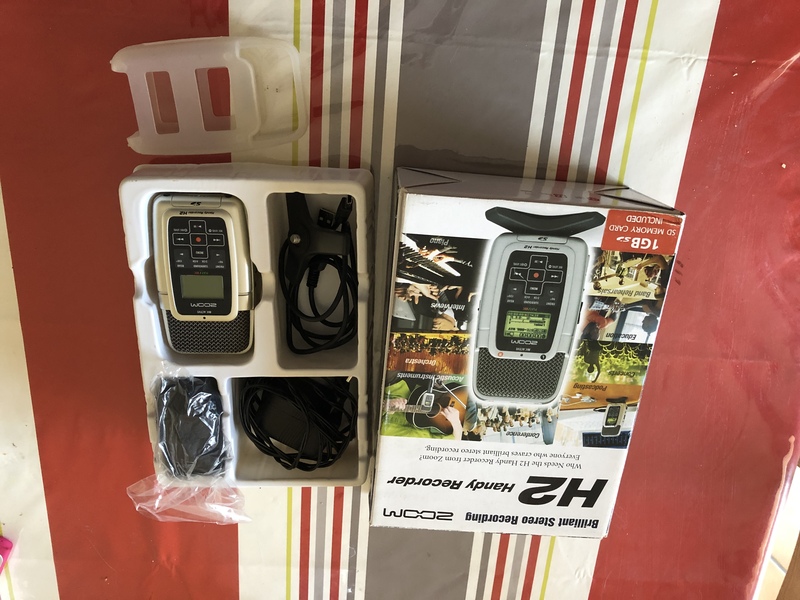 I have tried other similar recorders, and although there are also many competitor products which offer similar levels of performance and value, this is the one which seemed to be the best combination of sound quality, usability, and value. I would definitely buy another if this one breaks or is lost. 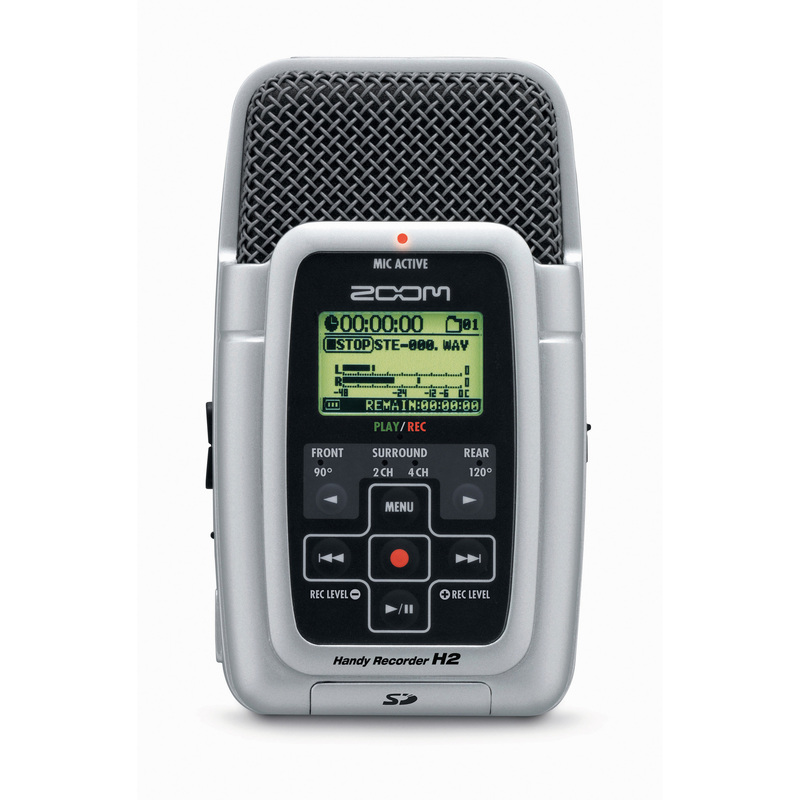 The Zoom H2 is a hand held recording device they every musician must own. It really comes in handy, no matter where you are you can pull this bad boy out and start singing or recording a melody or anything that you have in mind. I have to keep this one me no matter where I am. If its not in my gig bag or pocket than its in my car. I can say I used this about 8 times a week. I get inspired in some of the wackiest places and with this technology you can really record some good stuff on the spot. Don’t get this confused with just a basic hand held recorder that you can get at your local electronic store. This provides great quality, you could probably even record something and take it home put it in pro tools and actually keep the track, not just for a demo either. That’s how good it really is, I couldn’t imagine not having this on me at all times. I would probably panic if an idea came up and I wanted to record something really fast and I didn’t have it on me. That means I would have to use my phone to record and that just would be too much clicking just to record a quick clip and the quality wouldn’t be good either. 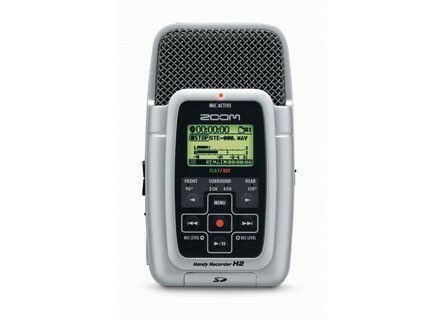 With the Zoom H2 you get high quality recordings no matter where you are at and they are all at the push of a button. It fits right into your hand and its very handy, trust me you have to get one of these. I am so glad they have made these because I use to use the old ones with the little tape in it that was made by sony. This one is way better than those old ones. Also, no pesky menu’s to navigate through to get to the record function. Its all right there in front of you just push and you are good to go. Great price and a great product. 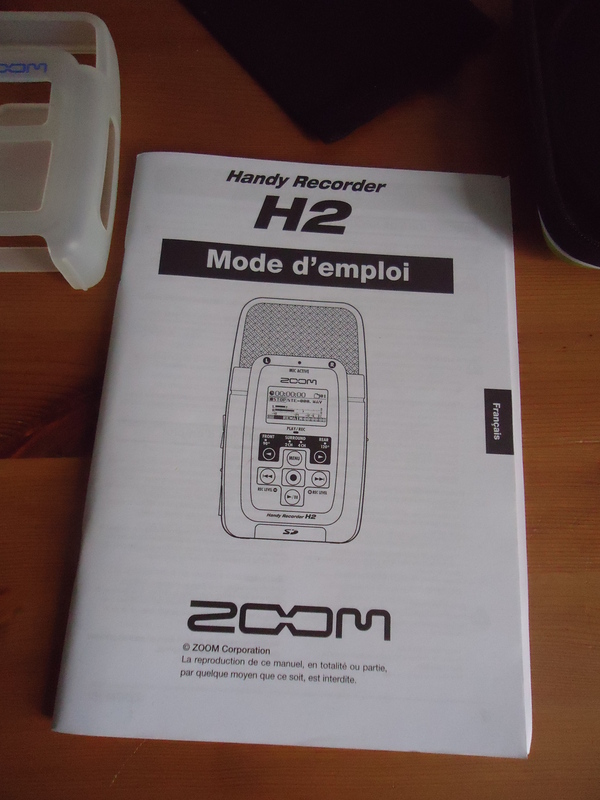 This is the H2 hand held recording put out by Zoom and Samson Technologies. It offers all sorts of recording options in one unit. I believe their are 4 microphones inside of it. You can even record in 5.1 Surround Sound. 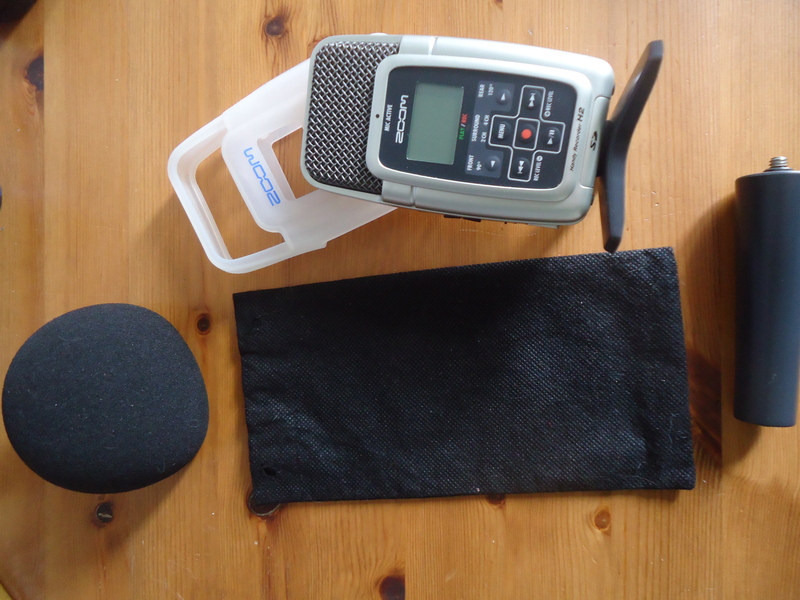 I needed a recorder quickly so that I could do an interview for a blog that I write. I had an MP3 player that could record by wanted something better. Every search hand held recorders around $100? Yes, TONS of them out there. It sounds great! I a/b'd it with my MP3 player's recorder. I knew it would crush it but I was impressed by how much better the sound was. I was using it to interview someone and the audio was crystal clear. I recorded it as an MP3 file. I was impressed with the stereo spread. Listening back through headphones it feels like I'm actually there. I can't wait to record a band with this. It takes a bit of a learning curve to use it. This can be frustrating and could lead you to losing valuable information. They could have made it a bit more user-friendly. Fits nicely into my hand as well is into my pocket. It feels adequate construction. I could easily break this (not that I want to throw away $200!) but it does not feel flimsy or cheap. Make great sounding recordings with this budget-friendly, handy recorder.